Laurens ten Dam is one of the veterans of the cycling peloton and is ready for another new step at Team CCC. CyclingPub.com spoke to the Dutchman during the team's recent media day at the Spanish Costa Blanca. 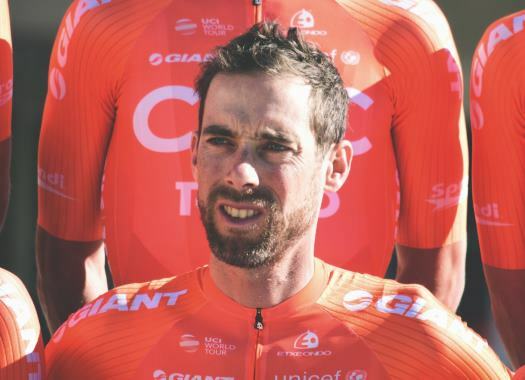 The 38-year-old from the northern part of the Netherlands first joined the professional peloton in 2000 and has seen many changes, both in cycling as a whole and in Dutch cycling in particular. At the moment of the interview, Laurens had spent only a week with his new team, CCC. So far, so good. I'm having a good time training. I feel well. It's a nice team so I'm pretty happy. The feeling is really good. What made you decide to switch teams? It was all taking a bit long at Sunweb for me to get a new contract offer. If it goes faster, you don't have time to start looking around you but it did take too long. 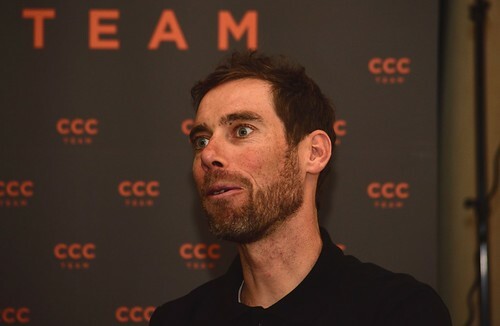 I also got the impression that I wasn't going to ride the Tour de France with Tom Dumoulin. So, Tom also told me to do what's best for me and that's what I did. I'm pleased. CCC seems very well organized. It's more relaxed than what I'm used to. For example, we had a party with the team. All the sponsors were there too. At Sunweb I saw less of that in three years than I have at this team now. They work well and it's well structured. Does it play a role for you that you can keep riding Giant bikes? That does make it a lot easier for me. I don't have to get used to anything new this way. There was no need for me to do a fitting session either. There's no real team leader here, which should give you a bit more freedom. Yeah, I'm optimistic ahead of the new season. At my old age I hope to get a nice result or help someone by being in a breakaway, or maybe get a nice classification in a stage race. I'm excited. Are you looking at specific races? The Grand Tours, for sure. I hope to ride both the Giro d'Italia and the Tour de France but that's far from certain now. That's not a bad thing, that things are a bit more flexible. I have to prove myself and I do trust that I will. If not, it may mean that I'm getting a bit older. It's possible. What does the presence of Greg Van Avermaet at this team mean to you? I like it. I've known Greg for a long time. We went to Curaçao once, back in 2008. We've had a good bond ever since. We had a great time there. I took a friend, he took his sister. It was a fun week. We even went fishing together. We caught some too and ate it on the beach at night during a BBQ. You've spent the last 18 years at mostly Dutch or Flemish teams, and now you're at this international team. I did spend a year in the United States. But you do notice a mix. The American way of organizing is strict. When I arrived at the training camp I got to my room and the entire team camp book was already waiting for me, with photos of the riders and everything. Like I said, it's well structured. So everything is very smooth. And today, the media day is on a rest day at the hotel. Last year we spent three days to go up to Berlin for Sunweb's media day. Here I will even have time to do an ECG today, which normally would have cost me a day at the hospital. Things are really taken care of here, which is nice. I feel a bit spoiled too, which is nice at this age. What about your ambitions at this team? Do you think about winning? My last win is a while ago. The ambition wasn't really there at Sunweb and it's returning a bit now, which is a good thing. Maybe it's easier to train that little bit harder, go a bit deeper. I'm looking forward to it. What do you consider the highlight of your time at Sunweb? The Grand Tours I rode with Tom were great. Spending a year in the United States with the kids was great too. That was 2016, which is a year I'll never forget. I'm really grateful to Sunweb for that being possible. And in the sportive sense, I reached my peak level during that Giro with Tom (in 2017). The way I went up Blockhaus, for example. If I could do something like that again, something nice could come my way this season. Did you see Tom grow during that time? Of course. Tom has matured a lot, especially for his age. He learns things fast. At his current age I still had to ride my first Tour. With your experience, you must undoubtedly have witnessed a lot of change in cycling. Yes. Everybody trains a lot harder in winter (smiles). Camps like these also include a lot of team meetings. In the past you'd also have time to play a game of poker, but there's none of that now. It's all a bit more professional. In the past you could have a couple of beers but that doesn't really happen anymore. What would you prefer, if you could choose? I feel good here. It's a good mix. It's also nice to be just this team at this hotel. We have two cooks here. At Sunweb we had to share a buffet with 15 other teams. So, I definitely feel spoiled. Are you looking at how you're going to finish your career, or do you just take it one year at a time? I take it one season at a time. Of course, I'll turn 39 in November, but my time here so far feels promising. It would be a bad sign if I would want to retire after spending a week here. But that's not the case. I'm not really worried about retiring. I only think about performing. What do you think of the development of Dutch cycling in the last 15 years or so? I was actually thinking about that in bed a few nights ago. I finished in the top 10 in the Vuelta a España and in the Tour de France. If I had done the same in the Giro I would have had top ten placements in all three Grand Tours. But it also happened that I finished like 50th and was still the first Dutchman. Now, you're almost lucky to be the third or fourth Dutch rider if you finish in the top 10. That says it all. I was there during the bad years and even profited a little from that as I gained fame doing things that these guys actually do a lot better now. I'm also very happy to experience the good years, even from close by with Tom. I also know Steven Kruijswijk well. I do enjoy it, it's great. There seems to be a good atmosphere between the top Dutch guys, right? Definitely, there's not much rivalry now. I didn't experience it myself but as a young rider I did hear that there was much more rivalry between Michael Boogerd and Erik Dekker. They didn't always get along. But now, seeing how Tom and Jos van Emden treated each other at the Giro (Van Emden won the closing time trial while Tom secured the overall victory, celebrating their achievements together), they can be happy for each other. If there's one thing you could choose, what would you really want to achieve? A stage win in a Grand Tour. The Tour de France, or the Giro d'Italia. Preferably the Tour of course, if I can choose.